Kids asleep in 10 minutes from ... a book? WHAT IS THIS BOOK — MAGIC? 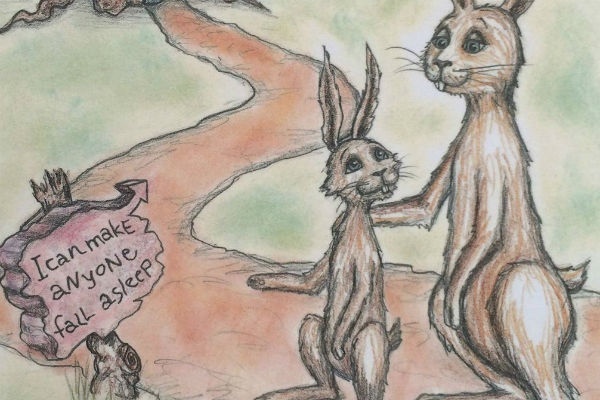 Written by Swedish author and behavioral scientist, Carl-Johan Forssén Ehrlin, “The Rabbit Who Wants to Fall Asleep” was created with a deeper purpose than your average children’s book: to help your kid go to sleep … with science. Parents who experience issues with getting their kids to sleep will try just about anything — and for good reason. It affects the parents’ health and well-being, too. And while it may not be a cure for everyone, or even work for them for that matter, it does help start a different conversation in our world where “how to get your kid to sleep” pulls up millions and millions of results on Google. True story. The book is now a #1 best-seller on Amazon. People are reading it, absorbing it, and even sleeping because of it.